(CNS): The government is hoping that an amendment to the customs law will help in the fight against crime as it is designed to clamp down on smugglers of drugs and guns as well as people attempting to avoid paying duty on imported goods. 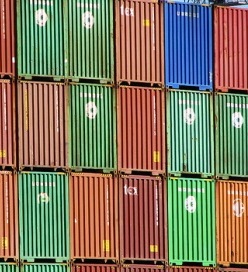 The change increases the existing fine for people who open containers earmarked for customs checks before an official inspects the cargo from $1000 to $100,000. The premier told his legislative colleagues on Wednesday that the increased fine would serve as a better deterrent to people who broke the seals on containers before they were inspected. McKeeeva Bush said the law was important as all sorts of “evil contraband”, including ganja, cocaine and other drugs as well as guns, were getting on to the island and those who were opening the containers had to only face a $1000 penalty. Bush noted that the in the average 40-foot container coming into the island contained some $30-40,000 worth of dutiable goods. He pointed out that those who had not declared the full contents or had imported drugs and guns when their container was selected for inspection were the ones most likely to break the seal, as the risk of a $1000 fine over the possibility of being caught with serious contraband was not a sufficient deterrent. The law was supported by the opposition benches and received a majority when it was passed but the PPM’s former leader took the opportunity to ask government to look into the problem of contraband that also leaves the island. Kurt Tibbetts said that for many years there had been significant concerns that stolen goods were shipped off island in consolidated containers among the various genuine goods people sent to overseas family. He said the containers going out were rarely, if ever, checked and there was no requirement to list contents. He said it was quite obvious, given that the police recover less than 1% of stolen goods, that most of it left the island. “Where do all the stolen goods go? Do people really believe that it is all fenced here?” he asked rhetorically. Tibbetts urged government to find a way to monitor what leaves Cayman closely as well as what comes in, as he said the problem had gone on too long with no one doing anything about it, even though the authorities were constantly saying they were long aware of the problem. 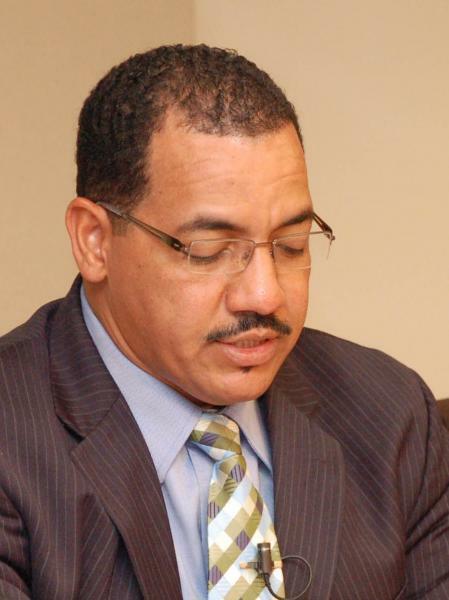 The first elected member for George Town also urged that the examination of containers by customs include those who have duty waivers to ensure their containers contain only the goods allowed to be waived and nothing else. The premier stated that Tibbetts had raised some good points about the export of stolen goods and that seeing how government had spent some $4 milllion on a new X-ray machine for law enforcement officials, they could use it to check things leaving. But Bush criticised the former Leader of Government Business, saying that while stolen goods was certainly a problem for Cayman, the issue had nothing to do with the bill up for debate, which was about stopping all the drugs and guns coming in. He accused the PPM member of trying to paint a picture that all of the problems of the world had started in May 2009. But the opposition did not need to tell government about stolen goods, Bush said, and if they were serious about it why had they had not done something. Are you satisfied with life in West Bay these days? Is the crime rate in your district acceptable to you? How about drug abuse? Are you content with the education that all West Bay children are receiving? What about spouse abuse and alcoholism? No big worries there either? The rest of the Cayman Islands can only assume that the voters of West Bay are happy and content with the status quo. Why else would you keep electing the same man to represent you, over and over? Since 1984 the majority of voters have elected McKeeva Bush to lead and protect the district of West Bay. Surely you would have changed course by now if you weren’t happy with the state of your district, right? It’s been nearly 30 years of Bush and one can only conclude that West Bay has been shaped to his liking. What we find hard to understand is how it’s to your liking. What is it you see in the nearly 30-year reign of Bush that we don’t? What exactly are you getting out of this man’s incredibly long win streak? West Bay is home to many fine Caymanians, of course, but these days it also appears to be home to a nest of lost boys who shoot first and think later. If the Marl Road can be trusted (and we all know that it often can be), West Bay has a serious drug and alcohol problem as well as a crisis of dysfunctional families. I know what you are thinking: “George Town has problems too!” Yes, George Town seems to have more than its share of criminals these days as well. But at least George Town voters don’t keep reelecting the same person, across decades, hoping against all reason that the same action will produce different results. Cayman’s ridiculous and unfair version of democracy is set up in a way that almost guarantees we will end up in the situation we find ourselves in. A small block of voters in one district can elect and reelect the same person over and over who then, if he or she is skillful enough at backroom deals, can become the leader of the entire country. The result is that we have a national leader who is entrenched in a district and does not answer to the people of the entire society. Why would Bush or any other premier care about what the voters of North Side, East End, Cayman Brac or anywhere other than West Bay say about his words and deeds? They don’t vote for him. One can only chuckle when a furor rises every several days over something our premier does. People repeat the same question: “How can he get away with that?” The answer, of course, is that he can get away with it because most Caymanian voters don’t live in West Bay and have no direct impact on his political fortunes. Clearly the Cayman Islands need national elections for national leaders so that someone at the peak of power has to always keep in mind the needs and concerns of all voters. Until that change comes to pass, however, we can only hope that you, the voters of West Bay, will pause long enough to look around and assess the state of your McKeeva-made district and rethink your habit of voting him back again and again for more of the same. (CNS): The latest proposed plans for the George Town cruise port facilities are likely to create massive traffic problems in the downtown area and beyond, which will be down to the government to solve. A group of sea captains pushing for the cruise port to move to Red Bay say this adds further justification to their proposal, which was submitted to government last week, and have urged the authorities to reconsider before it is too late. The cost of fixing the traffic problem will be down to the public purse in the capital but traffic flow is incorporated into the alternative proposal, which they say has many significant advantages over the down town proposal that the country cannot afford to ignore. Although government has not yet moved to a major agreement with China Harbour Engineering Company on the $300 million project in the wake of the expiration of the MOU signed by the premier in June, a delegation from the Chamber of Commerce heard some of the details of the proposed plans during a trip to Jamaica last week and the sea captains say these plans further fuel the urgent need for government to re-think. Since taking office, the UDP government has been promising tourism stakeholders that it will find a way to develop cruise berthing facilities via a public-private partnership. The latest MOU expired on Sunday and McKeeva Bush has not yet given details of the status of the talks between the parties. CHEC is the third developer government has engaged with regarding the project but since the talks began the alternative proposal for the facilities to be constructed in South Sound has begun to gather momentum. The captains say that among the many problems with the proposed CHEC plans, the future traffic problems will be left to the National Roads Authority to resolve and pay for as the wider road network considerations are not addressed. The plans by CHEC have not yet been revealed to the Cayman public and they are understood to still be under negotiation. The MOU signed by McKeeva Bush called for a 49 year lease but the firm may now be looking for 51 years in order to recoup its investment, along with access to retail concessions in the upland element of the development. The Beijing based firm is proposing to design the berthing facilities with two storey decks with retail units and where access to the street for passengers will be down ramps, which the captains say will have a detrimental impact on local traders. Burns Conolly, acting on behalf of Capt Arlen McCoy who has spearheaded the campaign, handed the documents related to the Red Bay proposal to government on Thursday. Given the captains’ decades of experience, Conolly said, the Red Bay proposal was technically and logically superior to building at Hog Sty Bay in George Town. Red Bay has been mooted as “the location” for cruise port since the 1960s, the captains state, illustrated by the fact that Prospect was originally zoned for industrial use. They also note that the road in the alternative plans is actually a proposed NRA loop road, which is why the Old Prospect roundabout was created in the first place. With the elevated highway over the South Sound road to the bypass, the road system in the Red Bay plan will have a positive impact on local traffic compared to the chaos the captains believe the CHEC plans will create in the heart of the capital. No commercial activity is proposed in the alternative plans except on an island which will be part of the new port area, as a shuttle system will deliver passengers directly to the Kirks Harbour Centre and Royal Watler terminal areas. The captains say the merchants have invested a lot downtown and should not lose that investment. Part of the alternate proposals also offers a financing solution. The developers will be able to recoup their investment through the sale of the material which will be the product of dredging the basin in the South Sound. Meanwhile, in George Town there would be environmental damage: the upper reefs — Cheeseburger Reef, Eden Rock, Devil’s Grotto and the Wreck of Cali — will die or be removed after the dredging and concerns remain that Seven Mile Beach may be negatively impacted by the disruption of wave currents. See letter to government here. See more about the alternative cruise proposal here. (CNS): Having adjourned more than one month ago the country’s legislators return to the Legislative Assembly on Wednesday for a new meeting with a full order paper. MLAs are scheduled to debate six government amendments to existing laws, two new laws and three private members motions filed by the independent member for North Side. From the extensive long awaited traffic bill to a proposal by Ezzard Miller to introduce one man one vote there will be plenty for members to cross verbal swords as well as some grounds for agreement. What will be the third meeting of the 2011/12 session is scheduled to begin at 10pm and after any statements by government ministers members will be examining amendments to the Motor Vehicle Insurance (Third Party Risks) law, the Immigration law, the Mutual Funds , Exempted Limited Partnership and tThe Companies laws as well as changes to and the Customs law. They will also be debating a new law for Patents and Trade Marks as well as the Traffic Bill. Time permitting the members will be debating three motions filed by Miller regarding the elections law, anti-corruption and the rehabilitation of offenders. (CNS): Students set to leave high school in the summer of 2014 will be required to pass five exams at Level 1 in the Cayman Islands National Qualifications Framework (CINQF) in order to officially ‘graduate'. Students will no longer be said to have ‘graduated’ simply by turning up to school on a regular basis and behaving. Government launched the new academic criteria for graduation on Tuesday, merging the American concept of graduation, which is related to academic achievement, with the local British education system where students do not graduate but leave school with or without examination results. With the new initiative, the minister says, all students who wish to obtain a high school diploma at the end of their compulsory education will also need to meet a minimum academic standard. 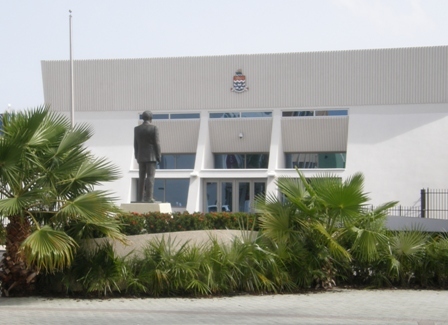 Alongside the new graduation rules, government is also introducing a system to clarify what students' different qualifications mean and to make levels of education for all Cayman students more understandable. Following consultation with teachers, employers and other education stakeholders, Education Minister Rolston Anglin said, the ministry was introducing a National Qualifications Framework, designed to provide an easily understood and consistent system for evaluating and comparing qualifications. The goal, the minister explained, is to answer questions such as: Do CXC and GCSE qualifications have equal value? How does a BTEC qualification compare to an IGCSE pass? What does a COEA qualification mean and what skill levels do persons with these passes possess? The CINQF has been developed to align with international and regional qualification frameworks, such as those from the UK and CARICOM. It ranks students' skills and abilities across five qualifications bands or levels. “This will allow fair and consistent comparisons of qualifications from different international bodies,” Chief Education Officer Shirley Wahler explained. The first CINQF qualification band — Entry Level — is equivalent to upper primary standards. Following that is the Level 1 qualification band, which includes passes at CXC and CSEC grades IV – VI; and GCSE/IGCSE grades D through G. Passes at this level are equivalent to achievement at a Middle School/Junior High standard. Passes at CXC and CSEC grades I – III or GCSE/IGCSE grades A* through C, fall into the Level 2 or Standard High School Level qualification band. Five Level 2 qualifications are recognised internationally as equivalent to a US high school diploma and mark successful completion of secondary education. International Baccalaureate or Advanced Placement diplomas, GCE ‘A’ Level passes or associate degrees will fall into the Level 3/Advanced Level band. At this level, qualifications indicate suitability for pursuing tertiary education options. The final two levels include bachelor and post-graduate degrees or equivalent qualifications. Rodrigues said that the launch this week represents the first phase of the NQF, and focuses on academic qualifications used mainly within the education sector but the goal was to further develop the NQF to include vocational and work-based training qualifications achieved through overseas national training agencies as well as local providers. Introducing the new graduation criteria for Cayman Islands government schools, the education minister said this was something the business and education communities had been waiting a long time. The first students who will be affected by the new graduation standards are those who will graduate in June 2014. From that time, students will be deemed to have formally ‘graduated’ from school with a level one diploma only if they attain at least 5 passes at Level 1 (on the CINQF), which must include English and mathematics, numeracy or mathematics functional skills. To get a level 2 diploma they will need at least 5 passes at Level 2, which must include English and mathematics (CXC, GCSE, IGCSE, AS or AP), and to graduate with honours at least 7 passes at Level 2, which must include English and mathematics (CXC, GCSE, IGCSE, AS or AP). All students will still require a minimum 90 percent attendance record during Years 10 through 12 and less than 15 days suspension during those years, though the education department is working on a scheme to allow students to undertake community service to work off excess suspension days. He added that the ministry would also build in ways to recognise adult learners who achieve the High School Diploma thresholds, even though they have already completed compulsory education. There will also be second chances built into the non-academic criteria, with the students able to work off days of suspension through community service if they remain suspension free throughout an agreed period of time. Mary Rodrigues, the education ministry’s chief officer, said the criteria were the subject of considerable debate among key stakeholders. “This is a huge milestone for the government education system and will help prepare our young people more effectively for the future,” she added. The minister said that the new graduation requirements are designed to be within the reach of special education needs students within mainstream education at the high schools. Students within the Lighthouse School will continue to have a separate graduation and work will continue on a Special Diploma to recognise their achievements. Wherever possible, the ministry said, it was committed to recognising and celebrating the achievements of students from the Lighthouse School at the regular graduation ceremonies. See details of new graduation requirements and sample of national qualifications framework below.